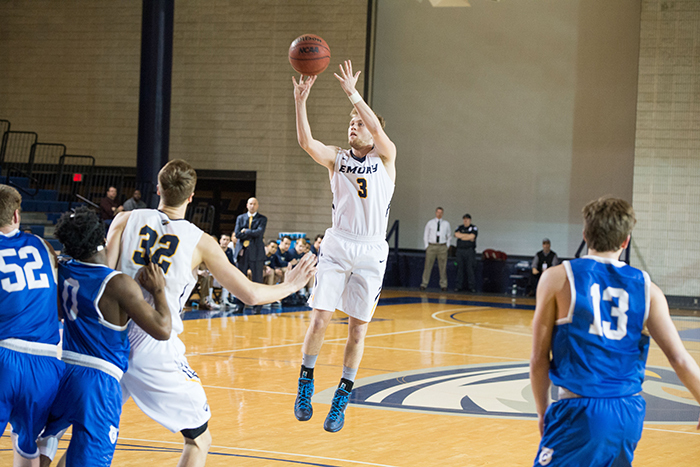 As Emory hosted the first two rounds of the NCAA Division III Tournament, the Eagles beat Covenant College by a score of 76-51 on Friday, setting up a showdown with Birmingham Southern on Saturday evening. 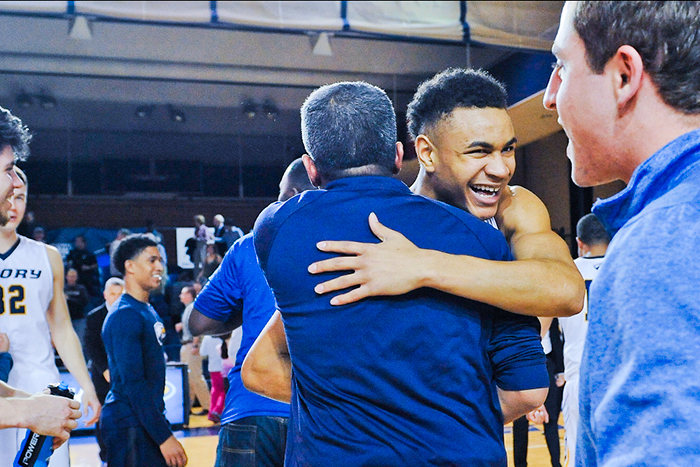 In a tight contest, Emory pulled out an 84-78 victory in overtime, sending the team to the Sweet Sixteen for the third consecutive season. 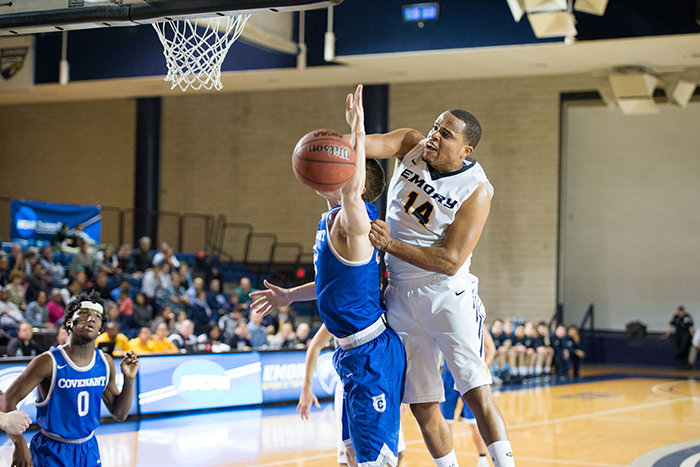 Emory's men's basketball team prevailed in its first two games of the NCAA Division III Tournament, advancing to the Round of 16 for the third consecutive season. The No. 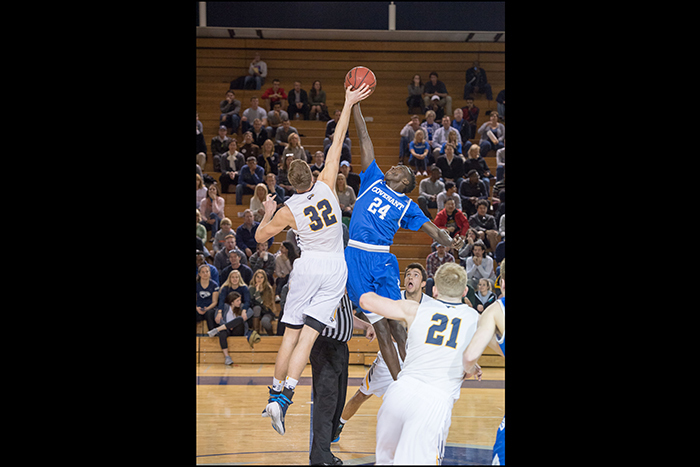 25-ranked Eagles will face Augustana College in Illinois on Friday, March 11; the time for the game has not yet been announced. 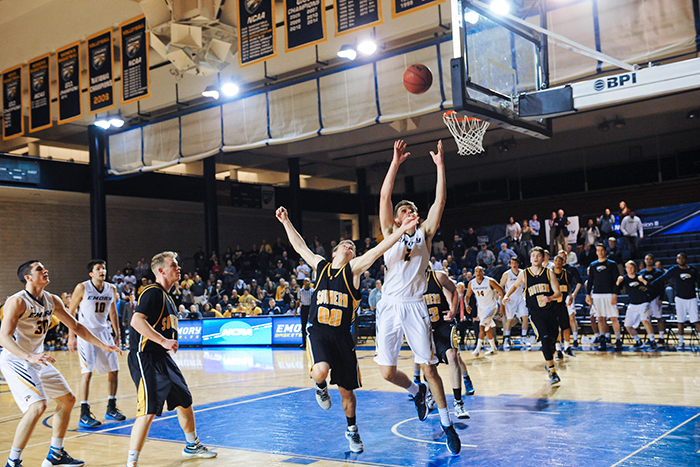 Augustana, ranked No. 1 by D3hoops.com, hosts the game. The other Friday match-up will see No. 8-ranked St. Thomas (Minnesota) clash with No. 11 Whitman (Washington). The two winners advance to Saturday's Round of Eight. 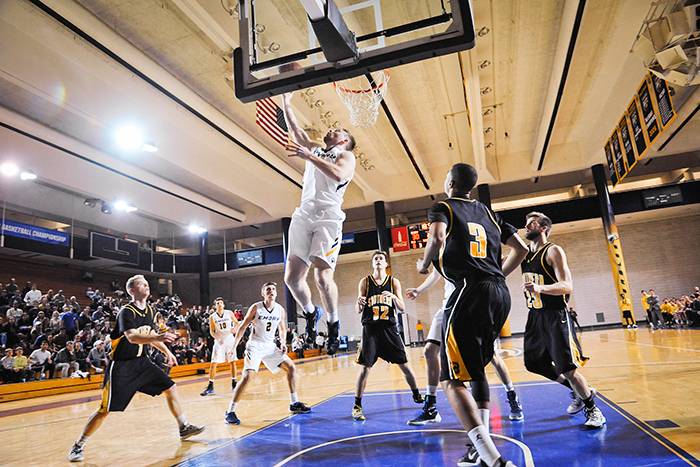 Emory was tapped to host games for the first and second rounds of the NCAA D-III championship tournament. 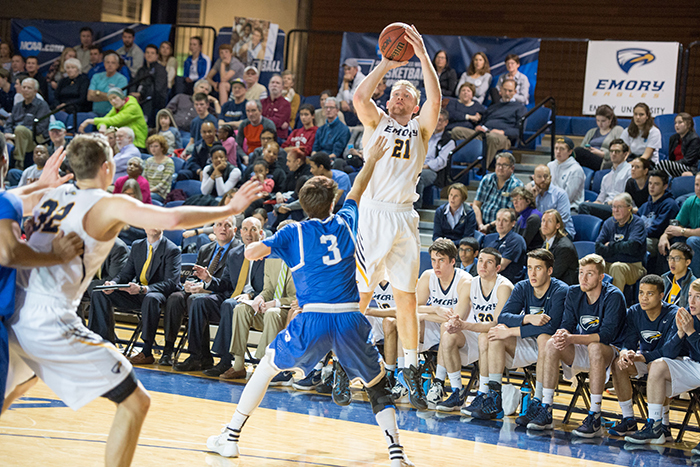 On Friday, March 4, the Eagles, led by head coach Jason Zimmerman, bested Covenant College here with a score of 76-51 to advance to the second round. 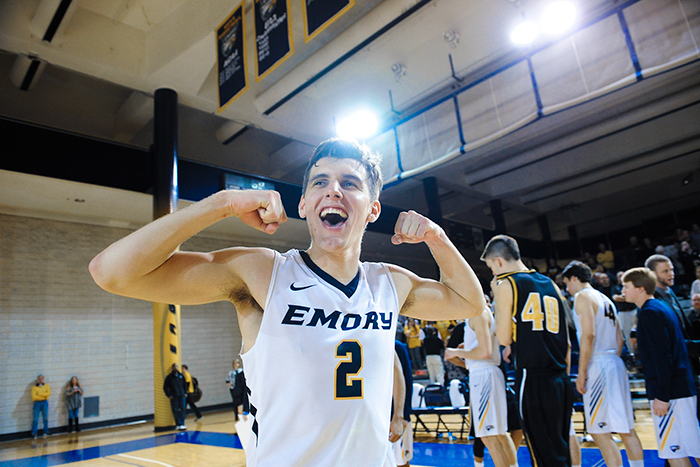 On Saturday, Emory registered an 84-78 overtime triumph over Birmingham Southern in the second round, also played at Woodruff PE Center in front of the home crowd, as the team battled back from a seven-point deficit with 6:39 remaining in regulation. The game was tightly contested as the lead changed hands eight times and was tied at 11 different moments. Neither squad was able to put distance from the other as the largest lead in the game was Birmingham Southern's 57-50 lead in the second half. 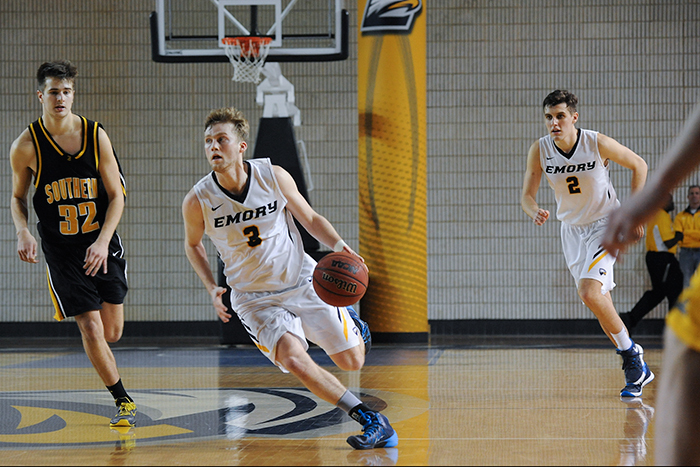 Emory's Eagles answered with a 16-9 stretch of their own to tie the game at 66-66 with 1:38 to go in regulation. With the game tied again at 68, Birmingham Southern gained a two-point lead with 47 seconds remaining. 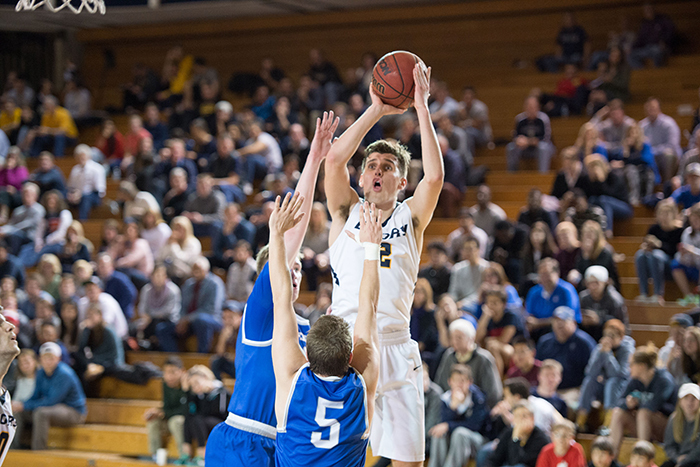 Emory senior Davis Rao then made a clutch jumper from just inside the three-point line to tie the game at 70 with 34 seconds left. In the overtime period, Birmingham Southern scored first, but Emory freshman Beau Bommarito made a three-pointer to give the Eagles the lead for good. 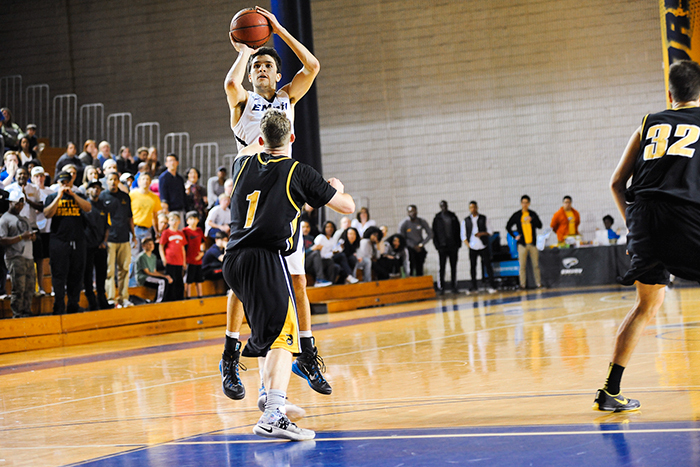 Rao led all scorers with 23 points on 8-of-10 shooting and was a perfect 5-for-5 from the line. Senior Will Trawick scored 20 points in 23 minutes and sophomore Adam Gigax (13) and junior Jonathan Terry (11) were the other Eagles in double figures. Gigax grabbed a team-high seven rebounds, and Rao and sophomore Whit Rapp dished out a team-best three assists. See video highlights from the game. 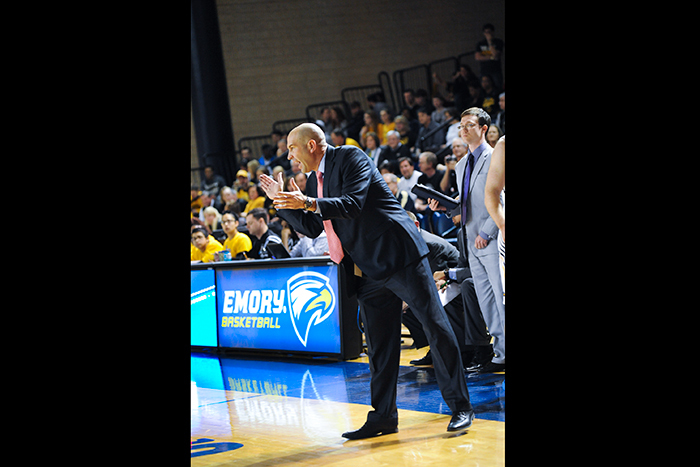 Zimmerman has been recognized by the Atlanta Tipoff Club for the Eagles' outstanding season as the recipient of the organization's Whack Hyder College Coach of the Year for the state of Georgia. Zimmerman will receive his honor at the Atlanta Tipoff Club's Naismith Awards Banquet on Sunday, March 13, at the College Football Hall of Fame in downtown Atlanta. It is the second time during Zimmerman's nine-year tenure with Emory that he has been selected for the honor. He captured his first Whack Hyder Coach of the Year award following the 2012-13 season. He ranks as Emory's all-time most-winning coach with a record of 150-83, and is the only Division III men's coach to be chosen for the award in its 34-year history. "I am honored to be chosen by the Atlanta Tipoff Club to receive this award," Zimmerman says. "The Tipoff Club over the years has been a great ambassador for the game of basketball and to be recognized by this organization is certainly a humbling experience. 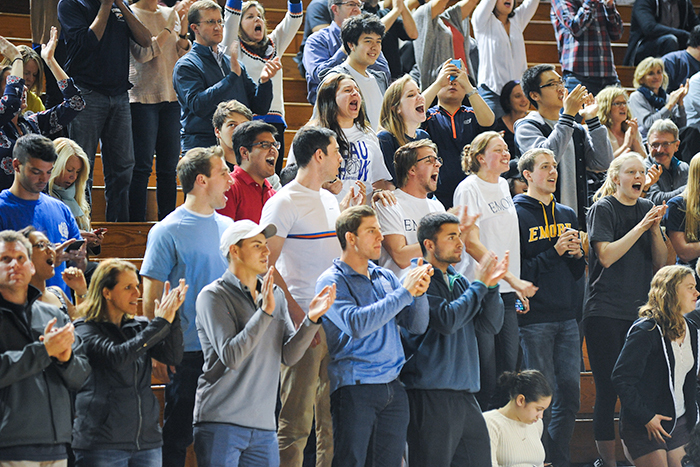 "As with all individual accolades in our sport, this award represents the culmination of the hard work of many student athletes and staff members at Emory over the past nine years." 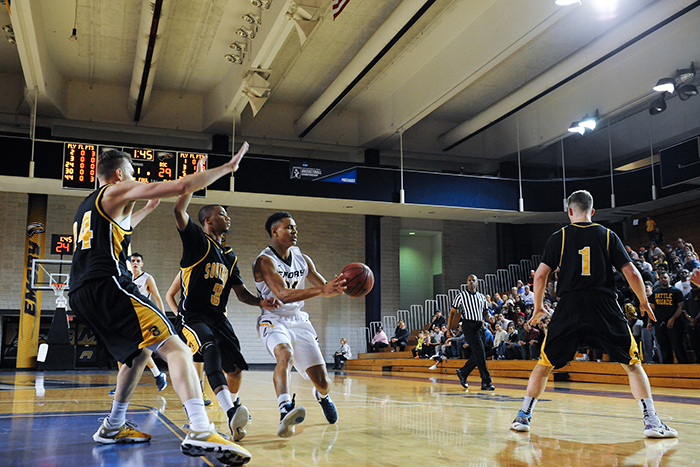 Under Zimmerman's direction, Emory finished the regular season with an overall record of 18-7 and won the program's second straight outright University Athletic Association title (third in the past four seasons) with a ledger of 11-3, tying the program's second-highest win total in league contests. 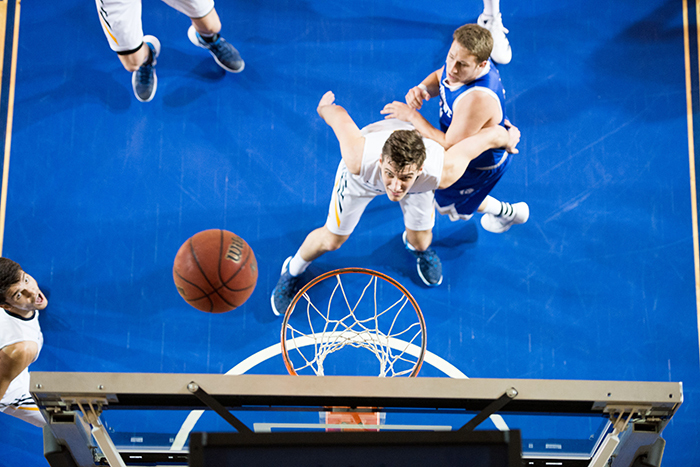 The Eagles' win total represents their seventh consecutive winning season, the longest streak in school history. Earlier this month, Zimmerman was recognized by his conference peers and named the UAA Coach of the Year for the fourth time.